Determined to portray bodies in their true unedited selfs, one student has started a photo campaign that advocates for body positivity. 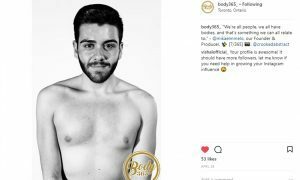 Fourth-year RTA student Mikael Melo created Body 365, an Instagram body positivity company, in hopes of shining a light on real bodies in the real world. Founded in December 2016, Body 365 focuses on the acceptance of different genders, ethnicities, and body shapes. Melo created the campaign after suffering from his own body insecurities at a young age. Being overweight, Melo was constantly in communication with doctors on how to achieve his ideal body and compared himself to bodies that weren’t his. “Growing up I was always trying to get my weight to a healthier size and I thought when I lose the weight I’d feel better, but when I did I actually felt worse and more insecure,” said Melo. He felt that he had no one and nowhere to speak about his body struggles. Melo realized there were many body positive campaigns, like the one from Unilever’s Dove, yet most campaigns were only geared towards women. That’s when he decided to create a project that was meant for everyone. Body 365 currently has over 300 followers on Instagram. The photos cover a wide range of candidates who decide to bring themselves forward and share their story. Melo wanted to create something very similar to the popular photo series, Humans of New York. Each person is photographed wearing all-black clothing, or is stripped down to just their underwear if they choose to do so. “When people come to set we always tell them to dress as comfortable as they wish. We don’t tell them to strip down or what to wear – all we ask is that they wear black. The body positive story is what is important,” said Melo. Rodas Dechassa was approached by Melo to have her portrait taken. 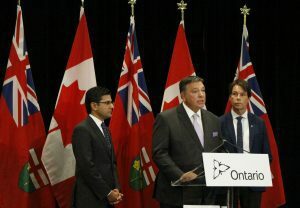 The Body 365 participant and fellow fourth-year RTA student said she felt comfortable being a part of the campaign, including the actual photoshoot. She said that it was therapeutic to air all of her body issues publicly. Melo said that the feedback on Body 365 has been incredible. “I’ve had people come forward who have had eating disorders and tell me, ‘I wish I had this when I was younger to show me to love the skin I’m in, rather than compare myself to people,’” he said. Melo said the future main goal for Body 365 is to showcase the importance of different body types. He said that while the media has taken steps towards changing body stereotypes, there’s still the same chiselled guy that you’ll find on TV or the blonde-hair, blue-eyed, skinny models that are on most magazines. “We need to start showing that we’re all different and we all have bodies, so why don’t we start showing those different bodies on camera?” said Melo. Body 365 shoots in Ryerson’s Rogers Communications Centre in Studio B. Melo welcomes all bodies to join the campaign through email or direct message on Instagram.